This coming Thursday, July 4th, is a holiday here in the United States. Next to Thanksgiving, the Fourth of July is my favorite. It commemorates the adoption of the Declaration of Independence, which announced the separation of America from Great Britain. It is a day to celebrate the United States, its freedom, and to display patriotism and unity as a country. I used 3 challenges as inspiration to create this card. I used Freshly Made Sketches #92 For my layout. CAS-ual Fridays theme this week is "Hunger Games" - CFC107: Create a Clean And Simple project that features at least one arrow. I used an arrow die from the MFT Die-namics collection - Accent it Labels and Tabs. Stamped images are from Verve's American Hero. Images on the left are from one sheet of Authentique DP from their Glory collection. Thank you very much for stopping in today. I really appreciate your visit. Your classic images definitely evoke freedom! 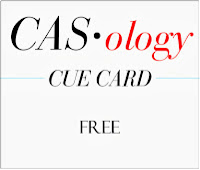 Thanks so much for playing along with us at CASology this week! Oh so perfect for the fourth! This is beautiful! Thanks for joining us at FMS! What a beautiful card Stephanie! I love all of that red, white and blue! So patriotic! Thanks for joining us this week at Freshly Made Sketches! What a great card. Your collage of patriotic sayings and images is a perfect celebration of the day. 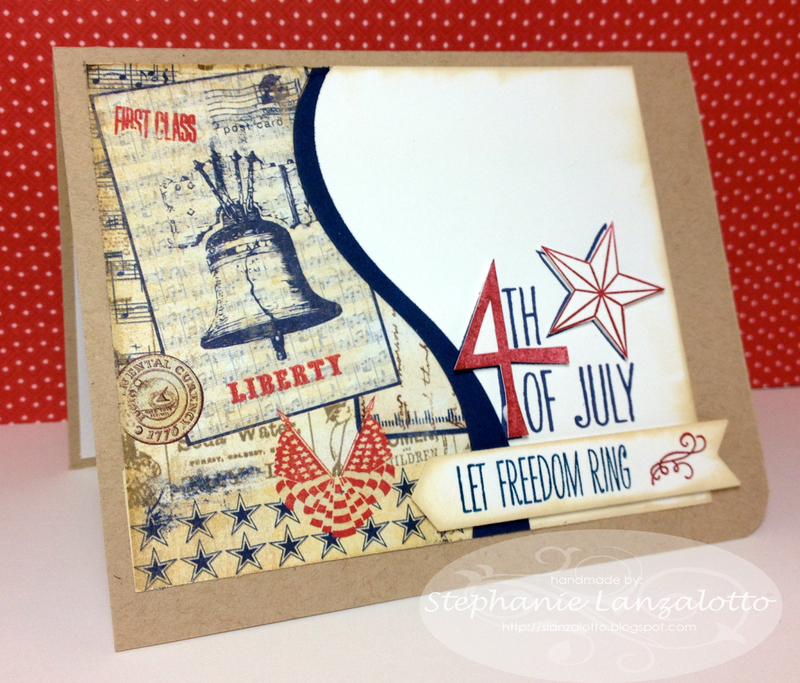 Great card Stephanie...enjoy your 4th of July! Very pretty card! Thanks so much for playing along with us over at CAS-ual Fridays! Great layout of the elements on your card! Such a happy feel to it. So glad you joined the CAS-ual Fridays Challenge this week!